The S.A. HorrorFest will celebrate its 15th edition in 2019 ! All submitted Feature Films and Short Films will be viewed by the selection panel, and if chosen will be screened at the S.A. HORRORFEST. Where deemed fit, Official Selection status will be awarded & various winning categories selected after the event. For physical entries, in addition to sending a printed version of the entry form with your movie, please copy and paste the form below, fill in the relevant areas and e-mail it to us. Feature film length: minimum 60 mins. / maximum 125 mins. The HorrorFest is now also allowing on-line submissions. Where the DVD submissions have NO entry fee, for on-line submissions the bandwidth download cost and time result in the added bulk of entries (which the judges will have to assess) has a $10us fee attached (which is about the same cost as postage to send physical DVDs with no entry fee). Payments can be made via PayPal. Contact us for on-line submission approval. Receipt of physical submissions will be notified via e-mail. Entrants will also be notified in the event of a feature / short being accepted for inclusion in the S.A. HORRORFEST program. If so, name of film school? Please include press shots (& captions) where possible (or e-mail hi-res shots). Any additional promotional materials like posters or lobby cards are also welcome. Flamedrop Productions / Shadow Realm inc., and the South African HorrorFest cannot guarantee that the short- or feature films submitted will be selected and screened in public, as the festival selection members / committee will be the final arbiters. DVD copies and flash drives supplied to the SA HorrorFest is non-returnable, and we request 2 DVD copies in the event of either physical damage (in transit via the mail system etc. ), or any other technical problems (of a digital nature like corrupted disc data etc.). The data version will be used for compiling and / or direct screening. Some of the information on this form may be used in various Flamedrop Productions / Shadow Realm inc. / SA HorrorFest online and print publications. If you do not want any information you have included in this form made publicly available, please notify accordingly. I have read and understood these conditions and with this form grant Flamedrop Productions / Shadow Realm inc. / South African HorrorFest the rights to publicly exhibit my submitted film/video production. 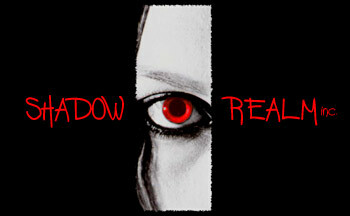 Copyright Flamedrop Productions / Shadow Realm, inc.